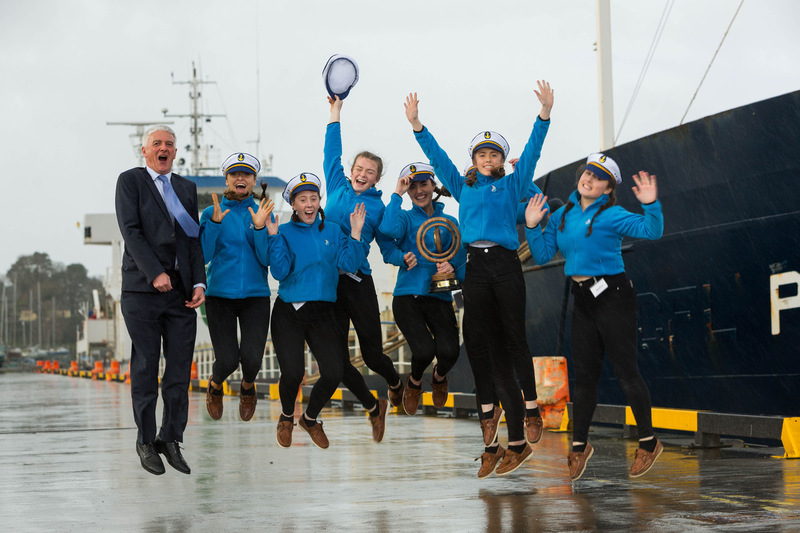 Innovation was in rich supply at one of Ireland’s great maritime commercial hubs, Foynes, as schools presented ground-breaking concepts for sustainable energysources of the future at the biennial Shannon Foynes Port Company (SFPC) ‘Compass’ transition year competition. Laurel Hill Secondary School walked away with the honours thanks to their ‘Working Waves’ presentation based on generating energy from ships on the move through a pressure pad system that feeds into an electricity generator and battery in the hull. But, as judges highlighted, the competition was the most tightly marked, the most competitive and delivered the highest standards in its six-year history. The Limerick city school, who were presented with their award by Minister of State at the Department of Finance Patrick O’Donovan, was one of five finalists who presented in front of 300 people at the Foynes Flying Boat & Maritime Museum today. He said: “This is a fantastic competition and it was a privilege to be here today. I come from the other side of the county so I wouldn’t have known as much about what happens here as I now do after watching these presentations today.